Cuomo and his Weezer bandmates were on the show to promote their new record Weezer (The White Album), which comes out today. 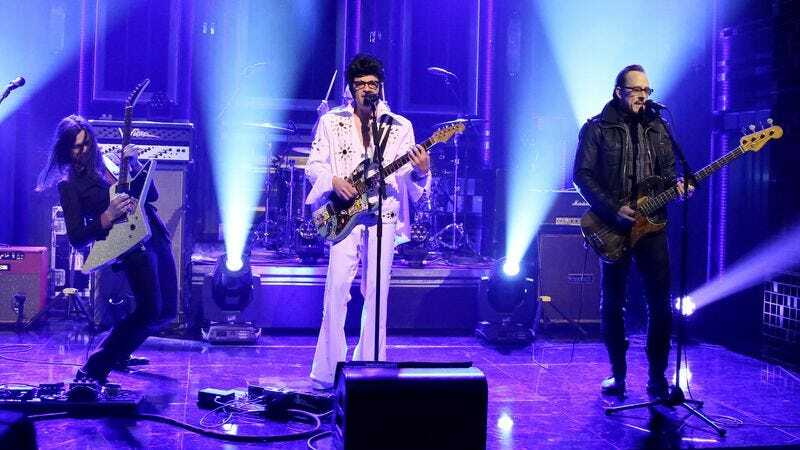 They performed “King of the World,” which, while not one of the lead tracks off of the album, still made for a rousing live performance, as well as containing a rather delightful lyrical reference to CVS. You can read The A.V. Club’s review of Weezer (The White Album) here.